Skydiving is an inherently dangerous activity. People who do this are choosing to jump out of an airplane at a high altitude, so they can experience the rush of freefalling through the air and then being able to float safely to the ground using a nylon parachute. 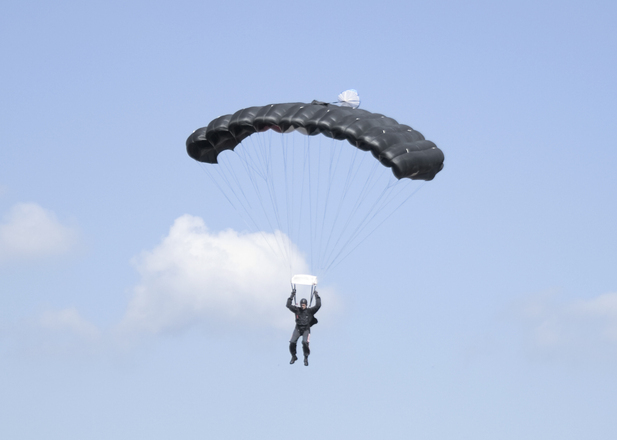 Every year, there are many accidents involving skydivers, though most of them involved broken bones, sprains, and bruises caused by a rougher than expected landing. Deaths do occur, but they are not as commonplace as one might think with an experienced instructor and properly maintained equipment. However, regardless of how safe or dangerous one might consider skydiving, anyone who wished to participate through the use of a professional skydiving business is likely required to sign an extensive waiver in which the diver accepts that skydiving is dangerous and disclaims any and all liability on behalf of the business. According to a recent news article from ABC News, witnesses attending an outdoor festival were all waiting in anticipation as a skydiving demonstration was about to take place. Much to their horror, instead of seeing a skydiver float gracefully to the ground, they witnessed a 65-year-old man hurling towards to the ground in a tangled parachute. They could see the man trying to fix the tangled mess of lines and fabric, but he was ultimately unsuccessful, and he became detached from the parachute entirely. At this point, airshow attendees saw the parachute form a ball and float gently toward the ground, the it got hung in the trees as his body slammed to the ground, landing between cars belonging to festival attendees. One witness who owned the car closest to where victim had fallen said he was standing in the same exact spot minutes before the man hit the ground and that the sound of the body hitting the ground sounded to him the same as a serious car crash. A friend of the victim told reporters that he was very experienced skydiver and actually owned one of the companies that trained people how to skydive. The friend said victim had done this same jump thousands of time before he was killed in this tragic accident. The United States Federal Aviation Administration (FAA) said it will be conducting a full investigation, as it does whenever there is death involving a non-commercial aircraft. They do not yet know why the parachute did not open. They will be checking the integrity of the rigging materials to determine if it was packed correctly or there was a manufacturing defect involving any of the components of the parachute assembly. If you or a loved one was injured in any activity that is considered somewhat dangerous, to the point where you were required to sign a waiver, this is something you should discuss with an experienced Boston personal injury lawyer. In some cases, these waivers purport to excuse the business from any and all liability, including the negligent or even intentional acts of their employees. While this may hold up in some cases, there is often a way your attorney will be able work around the fact that you allegedly accepted a waiver of liability.